For decades, the United States, together with its allies, has enjoyed almost absolute control of the media narrative in the English-speaking world, both at home and abroad. Recently, however, the success of RT, and some other outlets, in attracting an international audience, has punched a few holes in the establishment’s complete command of the news space. Audiences have welcomed this, embracing diversity in news, because they gained access to a range of stories and opinions that often reflected the reality around them, yet were inexplicably absent in the bulletins of their local broadcasters. It is just that reality, and reporting thereof, with which the chief of American intelligence is now taking an issue. For some time now, the media-political establishment has been growing increasingly uncomfortable with the new media landscape. Indeed, a cursory google search of scare stories centering around RT confirms it. The less said about the Washington Post's "fake news" smearing of hundreds of outlets as Kremlin patsies last Thanksgiving, the better for that newspaper's reputation. 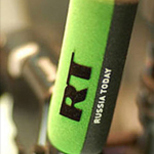 There have been congressional hearings galore into the influence of RT and repeated calls from America’s equivalent, the Broadcasting Board of Governors (BBG) - which oversees Radio Free Europe/Radio Liberty (RFE/RL) and Voice of America (VoA) - for extra money. This despite the BBG already receiving around three times the funding of RT. At no point did Clapper suggest that RT’s reporting was actually wrong. Just, that it was wrong of RT to report on anything that might tarnish his country’s shining image. Seems he’d prefer that the American public didn’t notice any possible “fissures.” Move along, nothing to see here. 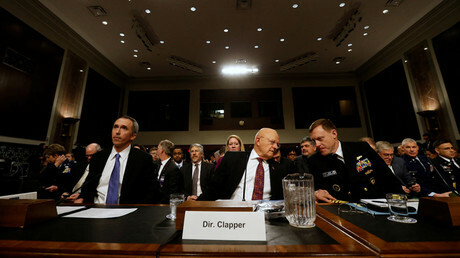 To counter the influence of RT, Clapper lamented how “we could do with having a USIA on steroids to fight this information war a lot more aggressively than we’re doing right now.” For the uninitiated, USIA (United States Information Agency) was the predecessor to the BBG, established by President Dwight Eisenhower, in 1953. At one point, it had a budget of $2 billon annually. Apparently, the BBG, with its nearly $800 million annual spending chest, not to mention literally hundreds of internationally accessible digital and broadcasting news outlets parroting the State Department line are insufficient and ineffective against RT’s reporting of inconvenient facts and undesirable opinions. This hysteria has also crossed the pond to Europe, where in November the European Union parliament adopted a resolution that calls for a push-back on Russia's media. In Britain, scheduled to leave the bloc shortly, there has been pressure on public figures to break off contact with Russian outlets, lest they be labeled Kremlin agents. Like its brethren across the Atlantic, the British Parliament has held inquiries into the influence of RT and Sputnik. For decades, we’ve been informed how, not only is the “western” system the best, but that it’s the singular model for ‘developing’ nations to copy. American and European leaders have advocated openness and plurality of voices. Governments ploughed billions of dollars into state-sponsored foreign media services. 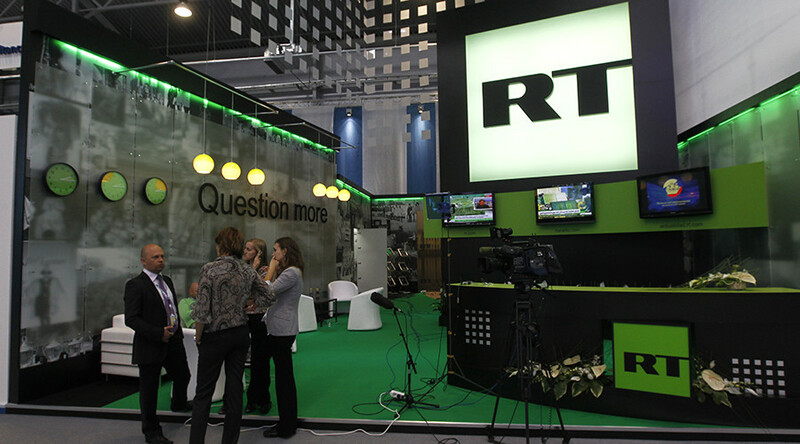 RT exists in the same crowded field that includes France24, DW and the BBC, in addition to the aforementioned RFE/RL and VoA – all of them very proudly proclaiming to promote their country’s values (BBC) or vision (Fr24) or foreign policy objectives (BBG). Except for the French network, all the others broadcast in the Russian language. And now they are ready to pump steroids into Ministries of Truth because a single Russian TV station is apparently threatening the entire worldview by simply talking about what is happening inside their countries.Washington’s maniacal need to control the conversation doesn’t just stand in direct opposition to the principles of the freedom of speech and press. 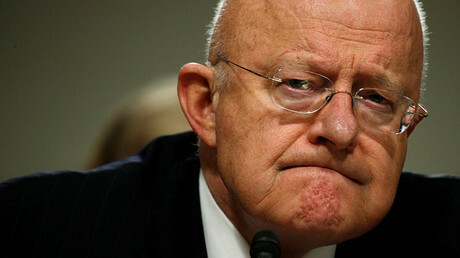 It, more than anything, betrays the exact “fissures” in America’s “tapestry” that Clapper is so concerned about exposing. With his testimony, Clapper declared to the world that the system he and his colleagues so eagerly promote to the rest of the world cannot handle outside scrutiny. Clapper’s view is, of course, shared by many, if not most, of the Washington establishment. What’s ironic, is that so much of that establishment – not just the Democrats, but plenty of Republicans too – has spent the last year in a panic over losing touch with the American public. Or rather, over the American public’s receding support of the said establishment. After many a losing campaign, culminating with Hillary Clinton’s presidential bid, the politicos performed obligatory, pundit-led post-mortems followed by editorial self-flagellation and promises to do better next time. The mainstream media did the same. This included asking themselves what they could have done better, considering months praising Clinton while railing against Trump didn’t work. But most stopped short of admitting that they failed to comprehend the reality as it was being lived and felt by half of the country. And that, subsequently, the politicians and the media alike failed to make a compelling case to those constituencies (it’s a shocker that calling tens of millions of Americans bigoted, misogynist, racist deplorables didn’t convert them to the Ways of Good). Barely a month after a game-changing election, the time of self-reflection and self-improvement is over. The blinders are back on, and it’s back to scapegoating-as-usual – now of a Russian TV channel for reporting on American reality. Surely, a winning tactic.